If you build or maintain WordPress sites for clients, then one of the challenges you’ve probably faced is that they often need help or reminders about how to do certain things. To complicate that even further, you may have to build instruction pages specific to their particular site. Of course you’re going to want finding those pages to be as easy as possible, but you probably don’t want those pages visible to the public. These solutions below are at least a few ways you can solve those challenges. For a few of these solutions below, your private content will need to reside somewhere. 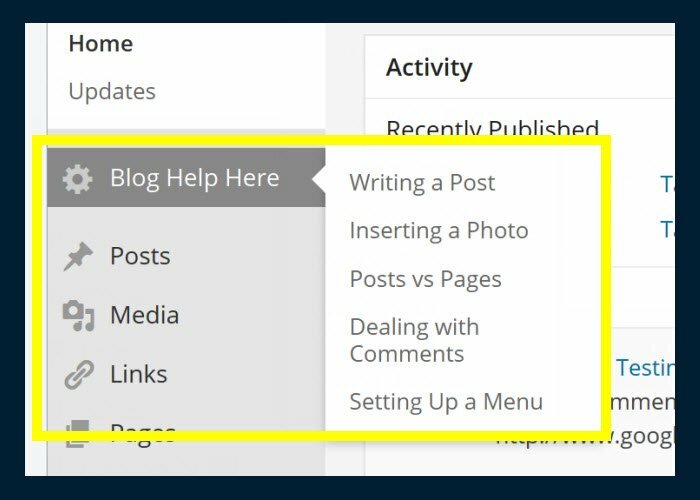 Out of the box, WordPress lets you easily create private pages (or posts) simply by checking the “Private” box in the publishing panel on the right-hand side of your editing screen. And so you can build as many of those pages as you need, and that should solve the problem of where to put your content. But while you can easily build private pages, the challenge is making it easy for your clients to find those pages when they need them. And so we’ll need to move onto some of the other solutions for that. One nice option is to use a plugin called WP Admin Custom Page. This plugin lets you build a backend admin page and place anything you like on it. It then places a menu item the Dashboard menu section near the top of the page. While you could put instructions on this page itself, if you have a fair amount instructions, then it may be better create different sections on different private pages (as mentioned before), and make this new admin page a table of contents to those different pages. The plugin gives you an HTML editor to work with. When published, the page you created shows up in the back end like another admin page, along with the newly created menu item. Once you have everything set up, tell your clients to simply access that page if they get stuck. Another solution could be the Add Menu Editor plugin. After building your support pages and making them private, with this plugin you can add more admin menu items to whatever you like (i.e. those private pages you built). You can add items in a group (as pictured below), or you can add single menu items. Yet another menu solution is to use a plugin called Nav Menu Roles, which allows you to put private menus on the front end of the site. Once again, if you set up private pages for instruction, you can then put menus wherever you like on the front end of the site, but you can control who gets to see them – i.e. make them only visible to your client. As you can see in the settings here, you can control the visibility of a menu item by role or by logged in/logged out users. These menus will only appear for those you’ve chosen. A similar solution would be to put a custom menu in a widget, and then restrict who sees that widget. We went over that in a previous post, which you can see here. 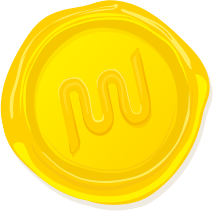 And finally, while we’re on the topic of providing support for clients, we’d be remiss if we didn’t mention WPMU DEV’s own Integrated Video Tutorials. This plugin lets you place unbranded WordPress video tutorials right inside your admin area. These videos cover basic topics such as adding new posts and pages, editing text, working with images, switching themes, and more. Check out a video overview. Of course the more info/help you give clients right on their site, the less they will be contacting you. Also key, of course, is making that info easy to find. Teaching, saving time, making it easy — all these things are value adds that make you more valuable. Making the Dashboard more helpful and intuitive for clients & users is something I’ve wanted to do recently. I really like the idea of a Help/Tutorial section for quick tips and information that doesn’t require a call or email. Enough of the support calls for where things are located! Quick question: What plugin are you using to add all that functionality to the visual editor in the second (Admin Custom page) screenshot? John – That comes with the plugin, and it only changes the editor for that area. However, you can get something similar for your regular visual editor by installing a plugin, such as this one: http://wordpress.org/plugins/wp-super-edit/. I’m sure there are others too. That’s just the first one I came across.